The handset is exclusively available on Flipkart, where it is listed as Oppo Neo R831K. 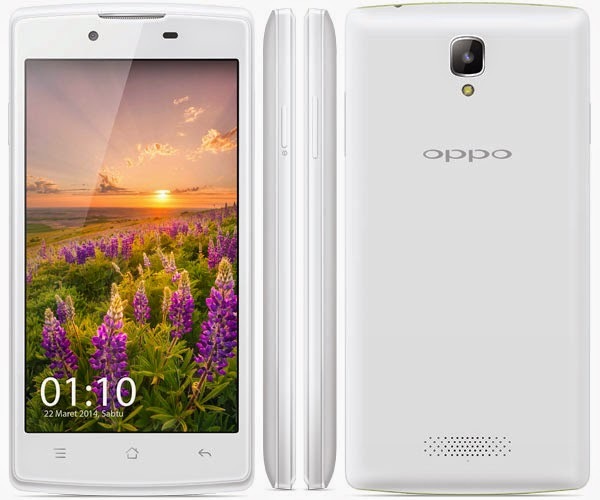 Oppo Neo 3 has display resolution of 854x480p and runs on the company's proprietary ColorOS user interface. It is powered by a dual-core 1.3GHz processor has 1GB RAM and comes with 4GB internal storage and supports microSD cards with capacities up to 32GB. 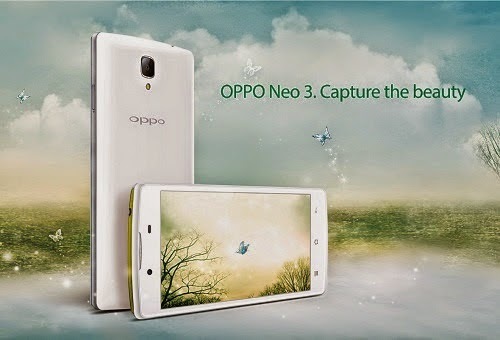 On the back of Neo 3 is a 5MP camera with LED flash on the back, while a 2MP camera is in front. Its connectivity suite consists of 2G, 3G, Wi-Fi, Bluetooth 2.1 and microUSB. 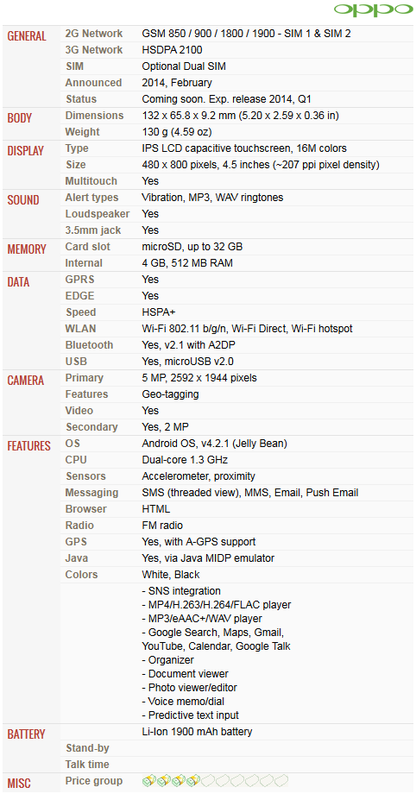 This dual-sim smartphone is compatible with GSM as well as CDMA sim cards; it is powered by a 1,900mAh battery. Oppo Neo 3 has a technology called HotKnot, which allows it to "share everything simply by touching another mobile screen with yours." It will compete against the likes of Asus Zenfone 5, Xiaomi Redmi 1S and Moto E in the Indian smartphone market.